How can I make my computer run faster? - Ask Leo! How can I make my computer run faster? The most effective way to speed up a system is to clean it up, have it run fewer programs, and give it more resources like RAM. Please tell me how I can make my PC run faster. My machine’s just getting slower and slower. There are a number of steps that you can take to attempt to speed up your system. Most require simply tweaking the software you already have, not adding more. But there are also steps that go beyond tweaking and right to removal. Even before we look at the software on your machine, I do want to throw out adding RAM as one potential solution. RAM is cheap, and if your machine has the ability to take more, then it can often be the fastest way to speed up a computer – even one that is poorly configured (which we’ll address next). Windows loves RAM, it just does. Practically speaking, it’s very difficult to have too much. If your machine simply meets the minimum requirements for the version of Windows you’re running, then I would say you don’t have enough. The published minimums are just that: the bare minimum for a functioning system. If you want a system that works well, you want more RAM. My rule of thumb is to start with at least twice as much as the minimum requirements state, and ideally as much as your machine can handle. As I said, RAM is easy. But while it may well speed up your computer, it may not be addressing the underlying cause. By far the number one reason machines slow down is that there’s simply too much software running. Note that I said running, not installed. Installed software just takes up space on your hard disk. Running software, on the other hand, uses RAM, uses your CPU, and at times can use disk and network resources as well. It’s the software that’s running on your machine that more often than not slows it down. In recent years the amount of software that is installed surreptitiously when you install something else has exploded. It’s not at all uncommon to encounter a machine whose browsers are loaded with unwanted toolbars, and whose task bar is loaded with icons for several unrecognized and unwanted pieces of … well, I’ll just call them “software”, though other words could be used. Start by reviewing this article: How do I remove PUPs, foistware, drive-bys, toolbars, and other annoying things I never wanted? It’s a good first step to removing a fair amount of software that you didn’t ask for, that you don’t want, and that may be impacting your machine’s performance. Many programs that you do want install components that start automatically when you start Windows, whether you need or want those components or not. Unfortunately that means that they’re typically always running, stealing resources like CPU and RAM away from the programs that you do want to run. There’s no simple solution here. There’s no checklist for what you do and don’t need. There’s no canonical list of the things you can get rid of. And to be completely honest, not everything that runs automatically actually contributes to performance issues, and there’s no list of the ones that do, either. It’s unfortunately vague, but that’s the way it is. Review the icons that show on the right hand side of the task bar on your Windows desktop. Each of these represent at least one running program, or a Windows status of some sort. For each program, determine if you need that service, and check the corresponding program’s options for a “Start With Windows” type of setting you can turn off. Of course if you want to go even further down the rabbit hole you can run a program like autoruns, a free download from Microsoft, which will show you absolutely everything that runs as part of starting up Windows. I’ll warn you that it’s quite geeky, and it’s easy to harm your system by disabling the wrong thing. If your system is strapped for resources, it’s very possible that you might be contributing to its performance issues. By running too much software at once, or causing the software you run to require more resources than your system actually has. Reduce the number of browser tabs you keep open simultaneously. Reduce the number of documents you keep open, or spreadsheets you’re working on simultaneously, or any number of things that boil down to asking the programs you run to keep track of more than they really need to. Each of those things can contribute to system slowness by adding to the CPU load and RAM used by your machine. SSDs or Solid State Drives have come down to a price level where they are within reach of most. While they don’t reach the same capacity as their traditional spinning platter brethren, they typically have more than enough space to act as a replacement drive for most machines. SSDs improve system speed simply by being faster to read. Write speeds vary, so the gains aren’t as dramatic, but when it comes to reading data, SSDs are significantly and noticeably faster. Create an image backup of your hard disk. Physically replace the hard disk with the SSD. Restore the image backup of your hard disk to the SSD. 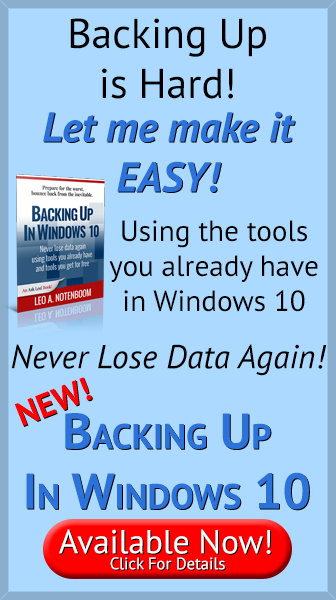 Make any final adjustments, such as adjusting partition sizes. SSDs do use flash memory, and flash memory does wear out. Fortunately the quality of flash memory used in SSDs is such that it now typically outlasts the useful life of the machine, in normal use. Consider using a lower resolution, or a lower color depth for your monitor. There are, naturally, many, many other tweaks of various and dubious value out on the internet, but these are the ones that I focus on as getting the most bang for the effort. I’m sure readers will add some of their favorite tweaks to the comments on this article, so be sure and give those a read. Three Reasons Programs Use All Available Memory in Your Computer - Programs typically don't use all available memory unless they either need it, or they have a problem. How Much of the Swap File Actually Gets Used? - How much a swap file gets used depends on how much RAM your computer has, and what's running on it at any given time. Knowing that will also help you decide where to place the file. Do I Need a Computer Memory Upgrade? - A computer memory upgrade can be an easy and inexpensive way to improve system performance, but how do you know if an upgrade is called for? « Previous post: Can spyware see what you did before the spyware was installed? While Leo says 256 megs of RAM is the minimum, I’d say that 512 is the BARE minimum to run Windows XP SP2 effectively. Short answer… when your computer runs out of available memory-chip RAM, it starts using your hard drive as memory for the overflow. The problem is that your hard drive, even if it’s the fastest SCSI speedster in the world, is much, much, much slower than memory-chip RAM. So, if your PC is having to use the hard drive for that overflow, the hard drive creates a memory bottleneck will slow your computer way down. And something VERY important to note. If you have bought a laptop or a bargain PC, your graphics solution may be using “shared RAM”. This is where the video card has no RAM of its own. Instead anywhere from 32-128 megs of your system RAM is dedicated to the video card and can’t be used by the CPU. For example, my VAIO laptop came with 512 megs of RAM, but it dedicated 128 megs to “shared RAM” for the video/display. So, while they could advertise that it had 512 megs of RAM, it was really equal to a PC with 384 megs of RAM, because 128 megs were dedicated to video and could not be used for anything else. when adding memory.. be sure to match clock speeds (pc1200 and pc3200 will function at pc1200 or not at all and cause strange voltage fluctations that can result in data corruption etc etc.) so match your memory sticks. Take the original one out and take it to the store so you have something to compare and a place to start. Of course it also depends on what your mother board can handle… call a technician.. tell him you want to upgrade memory and to make sure it’s compatible with what you have installed. No you should buy an 1GB ram that will make your computer run really fast that should help you and to spped things up even beter get a program called optimize xp download it its good. Can you beleive it, I have Windows XP, SP2 and a Intel Celeron CPU with 2.95GHz! The stupid machine has only… …wait for… it… …a mere 192 mb of RAM, well below the minimum of 250mb as someone said and in the sea compared to the 500mb BARE minimum as someone else said! So Social, how well will my documentation and engineer design programs, which now run just fine on Win 7, run with GNU/Linux? If I didn’t know that answer, wouldn’t it be just plain stupid to consider switching over? To make your computer start up faster you need to press start > run > Msconfig then click on the startup tab and take off the programs that you dont need at startup. you can also find more useful info on the microsoft site. is it required to update XP frequently? Required? No. STRONGLY recommended? Yes. Alright I just bought this game called Medieval 2 Toltal War. Its a very good game and all but its soooo laggy and im takling bout just on campaign no internet, my computer holds 160gb and i havent even used half of it no where near. I even have a decent graphics card and the store I bought it from said “Owwww yea, its a great computer for gameing”. Not true Im just wonderin if anybody has any solutions for this? Hi all =D …. im gonna help someppl who are facing games performance problems ..
For the ppl who Play Games .. Like WoW .. Its mostly about the VGA card ur using .. nVidia – ATi or whatever it is .. To play ur game with a real cool performance without lagging or freezin .. u need a good RAM and HD with a good free space .. and a good VGA Card ofcourse ..
anyway for Players . Go to Control Panel -> System -> Advanced -> Performance (settings) -> Then choose adjust to best performance 😀 This will help u to make it faster .. If You Go To Start / Run / Type In: msconfig / Then Uncheck The Programmes Which You Do Not Need to Be Running, This Will Improve The Performance Of Your Computer Because Less Programmes Which You Do Not Need To Run Are Running. Another Great Way Is To Do What Tuan Suggested And Go To The Control Panel -> Performance And Maintenance -> System -> Advanced -> Performance (settings) -> Then Adjust To Best Performance Or Custom And Customise Windows To Make It Run Faster. I have a 200gb hard drive & intel pentium 4 3.2ghz & 512mb ram hp desktop.What i want to know is if i buy 4x 1gb ram sticks & max out my ram capacity will it be bad for my pc,also in the long run.If so ,if i was to install 2gb ram will i see a difference in how fast my computer runs & other things pc’s do.Thanx. my pc has a 512MB RAM and the rest i really dont know how to check, but yeah i got a compaq and the hardrive is 114 GB with free space of 106gb, i got a good virus protector and everything that defrags my computer n deletes temporary files and stuff, but even if i do all that video games still kinda lag and videos dont go at full speed like it will stop for a sec and stuff, what can i do to fix this solution? Phil: nothing wrong with putting the maximum amount of RAM into your computer. really depends on how you use your computer, and of course I can’t know that. have a huge impact on game performance. its only eight bucks on there and other sellers want 15-40 dollars! Anyways check it out, it really works! i have just orderd a 2.5ghz intel pentium prossor 400 fbs and socket 478 and i want to rune world of warcraft but it takes the cpu up to 100% and i have tried it on my other computer wich has 2.4ghz with 512 ram and it still manages to run it, is ther anyway i can make it so that i can run my game and make it not stop. ohh and the computer i am trying to play the game has 1gb ram. Also get Opera, not firefox or internet explorer. It’s the fastest and the best. Those are the best way to speed up your computer. I reccomend lots of things. I have got a DELL LATITUDE CPx Laptop with 128MB-500MHZ. This may sound rubbish and it was when i got it second hand. Until i sorted it out. I recomend that you download Auslogics Disk Defragmenter and Auslogics Registry Drfragmenter. http://www.auslogics.co.uk/downloads. They are free. Regitry Defrag sorts out Windows and makes start ups and prosesses faster. Also clear Internet Explorer Cache each time. Also run disk cleanup every time your logging off, it takes 1-2min. -Ensure the system is free from spyware and malware. These can seriously cripple performance. -Add RAM. But note that anything more than 3 GB is useless on a 32-bit OS. -Defragment the hard drives. The fragmentation disease affects every Windows OS, regardless of FAT or NTFS (FAT is worse!) and reduces performance. Especially for lower and mid-end PCs. Combat fragmentation with a good automatic defragmenter…no need to waste time by scheduling regular defrags; yet gain continuous benefit of defragmentation. The hard drive is the performance bottleneck in a PC, so keep it optimized always. -Update hardware drivers to the latest manufacturer recommended versions. Especially with video cards, these can have a major boost. -Don’t mess with registry. Don’t use any of these registry ‘tuners’ or ‘optimizers’. They are usually trouble. What relly helps your pc work faster is installing the hole operating sistem that may sound rude but I have notice that after 6 month of using my pc It gets slow and I have to format it and there we go againg. It really works, try it. then sometimes the best thing is to reformat and reinstall. These are some great tips, I guarantee that if you follow these your computer will be running faster. I saw a site the other day that will show you videos and answers of these things, you should check it out! Thanks for the other advice! Try out pcsurgeon synthesite.com [broken link removed] its was only 9.99 and came with Anti Virus, Spyware and a hard disk defragger. Also came with a tutorial that included tips and tricks to keep your computer fast, healthy and up to date. I was pretty impressed. This is all you really need to clean your computer of any viruses and spyware and keep it protected and running like its brand new. why my laptop become slow when i add RAM? now, my RAM is 3Gig but its really slow… why i cant surf internet smoothly,, then what can i do? I have a 1 GB vist Desktop computer, it runs very slow, and crashes on me quite a lot. My computer also makes 2 beeping sounds on start up, I have run a norton check, and it says my ram is low, if i get extra ram will this improve my computer, it is only 10 months old. Regards John…. BIOS beeps mean that your BIOS has detected some kind of hardware fault on start up before Windows has even loaded. I’d absolutely have a technician or someone knowledgeable take a look at the machine. I installed IE8 2 wks ago. It takes about 12 mins. for pc to turn on. Screen stays blank & to check msn mail another 10 mins. When I had IE6 it would take maybe 12-15 mins. for both. When I close the IE & click on Mozilla icon & then hotmail it takes less the 4 mins. How do I make the Mozilla the home page when I power the pc on? I have MS Windows XP 504 MB of RAM 2.80GHZ Gateway. Everybody keep`s saying buy more RAM, it make`s your computer faster! Well I wish it was that easy all the time, but guess what? It`s NOT! The MB has to be able to handle more RAM. Some MB only go so high as far as how much RAM it can handle without flashing the BIOS anyway. I`m talking regular Joe off the street`s that doesn`t know anything about upgrade`s. Voltage is VERY important, the CPU is VERY important, FSB (front side bus) goes hand in hand with RAM, and the CPU. What I`m saying is sometime`s RAM isn`t the cure all. Make sure all software, and hardware driver`s are up to date. Keep a good anti-virus going all the time. Just know this, you get what you pay for. If you are gonna buy a cheap computer, just make sure it`s upgradeable in the future. Do your home work about new product`s for your computer. Just don`t believe that just adding RAM will cure your computer slowness. There is more to it then that for sure. Slow problem is a common event for Windows user. “No matter how fast or shiny computers might be when they’re new, they all seem to get slower over time.” Microsoft claimed that on their technical forum(Windows 7 forum). In fact, Windows built-in a lot of services and startup item start with system. So if you want a faster computer, you need to disable some of them first. If you still don’t know how to disable services safety, Click here to fix Windows SLow by professional tools. Any problems? Welcome to discuss with me! Enjoy it ! Thank you for Keron Chew’S post. The recommened tools really solve my slow problem! And I want your email address to ask some questions, may I? By the way, I found another good article ralated to this topic. Click here How to speed up computer Too! Is there anything else I can do other that the standard things like clear the desktop, remove fonts, etc to speed this puppy up? There could be so many ways of improving PC performance, but there are also a number of reasons why your system is running slowly after a few months of using it. In order for you to determine how to make your computer faster, you must try to determine the nature of the slowness and what factors are causing it. Please refer to this link on how to make your computer faster.how to make your computer faster. I have a pc(windows xp sp2)with 3 gb of ddr2 ram(800 mhz),250gb hard disk and core2duo 2.8ghz processor but still its performance is not upto the mark, what to do? Though I have lots of applications, loaded on it. Cleaner & optimization tools like..
i can say that i haven’t face any prob..Now my PC performance increases..!! It’s kept clean of all garbage, registry is fine, no spyware, got norton AV. but my computer is still slow. And when I mean slow, what I’m really saying is that with 12G of ram I don’t think I should have to wait a few seconds for Excel or word to open and close. Sometimes is says not responding while it closes. And that’s the only program open. Any Ideas? 21’inch acer monitor intel motherboard cor 2 due processor. please answer me…..
My IE often get freeze recently, my friends recommend me a software, named tuneup360, he said it is very useful, which can fix all the computer problems~~but I still wonder are there any other ways to solve my problem? Go to “run” type “prefetch” then enter and remove all. I have HCL me notebook laptop hare is 2 GB RAm 300 GB hard disk my laptop is too much slow but I do after that my laptop work on highly speed. If your son-in-law deleted one 3GB file and the machine performance suddenly increased but later slowed down again after restoring the file, check your drive’s available partition space. A lack if available drive space can really bog a machine down. Just remember that SDXC card is another form of flash memory which will eventually wear out, so make sure that it’s included in your backup plan. I don’t quite understand the difference between programs “Running” & “Programs Installed” – when referring to what begins at start-up to make my computer faster. If I have a program installed (e.g., Office 2007 which includes Word, Excel & Powerpoint) – if I don’t have it “running” at start-up, but want to “use” a program, how do I do that? A running program is a program which is actually running on your machine. An installed program is a program which resides on your hard drive and isn’t run until you double click on it or its shortcut. Some programs tell Windows to start them up at start time and then hide the program until you are ready to use it. This crates that illusion that that program starts up more quickly. You could use a program like Autoruns which Leo talks about in the article, but as he said, it’s possible to prevent a program from starting which you need to have Windows run correctly. Running is what happens when you click on the Word icon in the Start menu to start or open the program. Until then it is simply stored on your hard disk. Some programs start automatically when you login to windows. It’s like the computer clicked on the program’s icon for you. The flash memory in pen drives is normally very slow, so the only solution might be to get a faster flash memory stick. t copying….i cant directly watch videos or songs from externally connected phone through pc….it says copying when i open it..after finishing copying only i can watch them….then when i closed that video and opened it once more again it says copying just while opening….i dont make them copy by right clicking on mouse then copy…..just like that….problem is when i open it …it says copying ….how can solve these..plz help…will the first user set default copying something? i am using pc first time…plz helppp….plz…..god wll helps you …plz..
Don’t forget the hidden performance killer. Two antivirus real time protection programs running simultaneously. One you want and the other came as a download from another download. I think when you buy your pc keep watch on ability to change the parts of your pc in near future. After buying pc if you face some issue about slow down then you can add a ram or remove your hard drive. In my experience i have seen many computer have slow speed causing for it’s hard drive. 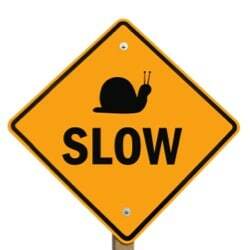 At first check the problem that why you are getting the slow speed. Then take decision asap to solve your issue. try a check about your pc making more faster to assure that you taken all the step. 2 GB RAM is on the low side for a computer nowadays. More RAM might help. Thanks for Addressing my Issue, I Will pay Heed to that. My Windows 10 x64 machine has 6GB RAM and runs on SSD. I’ve never seen the memory usage go above 5GB. But if I expand to 8GB RAM will windows configure itself on boot to run faster just because of the extra headroom? No one has ever been able to give me an objective answer on this one. Thanks to all. My computer was running excruciatingly slow. I was getting constant “not responding” messages, and my browsers took ages to load pages. Programs refused to load, and it took 5-10 minutes to boot up. I was looking at new computers as this one was becoming impossible to use. I was considering adding RAM (doubling from 4-8GB), but it was so slow, I didn’t think adding RAM would be enough to rescue the machine. But I took the plunge and replaced the RAM cards. Amazingly, the computer works flawlessly now and boots in a little over a minute. So the bottom line is don’t underestimate the value of adding RAM.